Sen. Daniel K. Inouye of Hawaii, a highly decorated World War II combat veteran who used his status as one of the most powerful Democrats in Washington and the second-longest-serving senator in history to send billions of dollars to his home islands, died Monday at Walter Reed National Military Medical Center in Bethesda. He was 88. Peter Boyland, a spokesman for the senator, said the cause was respiratory complications. Since 2010, Sen. Inouye had been the Senate’s president pro tempore, which put him third in the line of succession for the presidency. He cut a singular figure in the nation’s capital when he arrived in Washington in 1959 as a representative from the newest state and the first Japanese American elected to Congress. A methodical behind-the-scenes operator who rarely sought the media spotlight, he was little known outside Hawaii and the halls of the Capitol. But his wartime record, for which he received the nation’s highest military award for valor, the Medal of Honor — coupled with his reputation for a bipartisan approach to politics — helped him gain respect from and influence with colleagues of both parties. After serving in the House, he was elected to the Senate in 1962 and began a career as Hawaii’s most important patron in Washington. As longtime chairman of the Appropriations defense subcommittee and, after 2009, of the entire Appropriations Committee, Sen. Inouye ensured that Hawaii, once seen by most Americans as a distant agricultural outpost, received a steady flow of dollars to develop military sites and modern transportation, communications and educational systems. Proudly describing himself as “the No. 1 earmarks guy in the U.S. Congress,” he was — along with his friend and political ally Ted Stevens, the late Republican senator from Alaska — one of the last unapologetic purveyors of political pork. Sen. Inouye came to national attention only on occasion, most notably when he helped orchestrate inquiries into the Watergate scandal and the Iran-contra affair, two of Congress’s most politically explosive investigations into alleged White House wrong­doings. But he was a towering personality in Hawaii, where he had been born to working-class Japanese immigrants. He grew up planning to become a doctor. But in 1942, as a teenager barely out of high school, he joined what would become a revered Army regiment of Japanese Americans (442nd RCT). Two years later, on a battlefield in Italy, he destroyed three enemy machine gun nests even as bullets tore through his stomach and legs. A grenade nearly ripped off his right arm, and it was later amputated at an Army hospital. Back in the United States, the young lieutenant was wearing his empty right sleeve pinned to his officer’s uniform when he stepped into a San Francisco barbershop for a haircut. “We don’t serve Japs here,” the barber told him. Memories of such encounters remained vivid to Sen. Inouye, who in his political career spoke eloquently in support of civil rights and social welfare programs. He was one of a number of Hawaiian-born Japanese American veterans who returned to the islands to lead a peaceful grass-roots uprising that brought ethnic minorities and working people to power in a place long dominated by white owners of sugar plantations. In 1954, Sen. Inouye was part of a Democratic tide that swept Republicans — who had long run island politics and were closely aligned with the sugar interests — out of office. Hawaii has voted solidly Democratic since. His war record and his central role in ushering in that era of social change gave Sen. Inouye “an original power and a kind of aura” that he carried throughout his career, said Neal Milner, a retired political scientist at the University of Hawaii. “He represents the success of Asian Americans in Hawaii beginning to throw off the Caucasian elite control that this place had for a long period of time,” Milner said. In Washington, Sen. Inouye exercised a taciturn authority as a keeper of fading Senate traditions, including collegiality and bipartisan compromise. In 1973, he served on the bipartisan Senate panel that conducted investigative hearings on the Watergate scandal. The hearings, which gathered reams of evidence about the White House coverup of illegal activities by President Richard M. Nixon’s reelection campaign, led to the indictment of dozens of administration officials and helped spur Nixon’s resignation in August 1974. Watched by millions of viewers on network television over the course of three months, the sessions introduced Sen. Inouye to the public as an undaunted questioner of top White House aides, including H.R. Haldeman and John D. Ehrlichman. Ehrlichman’s sworn testimony prompted a rare moment of unguarded emotion from Sen. Inouye. “What a liar!” he whispered into a microphone he thought was off. The next week, Ehrlichman’s attorney referred to Sen. Inouye as “that little Jap,” prompting a wave of thousands of telegrams and letters in support of the senator. His widely praised performance was noticed by powerful Democrats, including Robert C. Byrd of West Virginia. Byrd chose Sen. Inouye as the first chairman of the Senate Select Committee on Intelligence, established in 1976 to prevent abuses of civil liberties by U.S. intelligence agencies. Sen. Inouye was clearly a rising force in his party by 1978, when he was elected party secretary, the third-ranking leadership post among Senate Democrats. He held that position for more than a decade in the 1970s and ’80s and appeared poised to succeed Byrd as Senate majority leader. Then, in 1987, Sen. Inouye was presented with what was seen as a test of his leadership abilities. He was chosen as Senate chairman of Congress’s joint investigation into the Iran-contra affair. U.S. officials had secretly sold arms to Iran to win the release of U.S. hostages in the Middle East and illegally used some of the profits to support right-wing Nicaraguan rebels known as the contras. The Iran-contra hearings, which were nationally televised, resulted in the conviction of several ranking government officials but failed to turn up conclusive evidence that President Ronald Reagan had known about the secret deals. While Democrats praised Sen. Inouye for that blunt assessment, many privately said that he had mishandled the hearings, permitting the Reagan White House to escape close scrutiny and allowing witnesses — especially Lt. Col. Oliver North, who had played a key role in the arms trade — to appear heroic, waxing patriotic about the risks they had taken to protect America from threats abroad. When Byrd stepped down as majority leader two years later, Sen. Inouye made a bid to replace him but lost to George Mitchell of Maine. Daniel Ken Inouye was born Sept. 7, 1924, in Hono­lulu. He was the oldest of four children and grew up in what he described as “respectable poverty” as his father held two jobs — file clerk by day, waiter by night — to support the family. One of his most searing childhood memories was the Japanese attack on Pearl Harbor in December 1941. He rushed to tend to the wounded. The U.S. government soon declared Americans of Japanese descent “enemy agents” and sent more than 100,000 to internment camps around the American West. 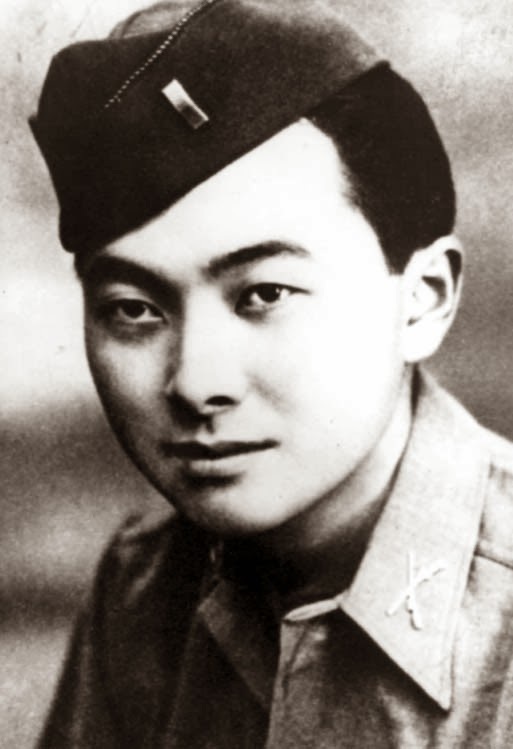 In 1943, after the government allowed nisei — American citizens born of Japanese immigrants — to join the military, Sen. Inouye quit his premedical studies at the University of Hawaii to sign up with the 442nd Regimental Combat Team, made up entirely of Japanese Americans. 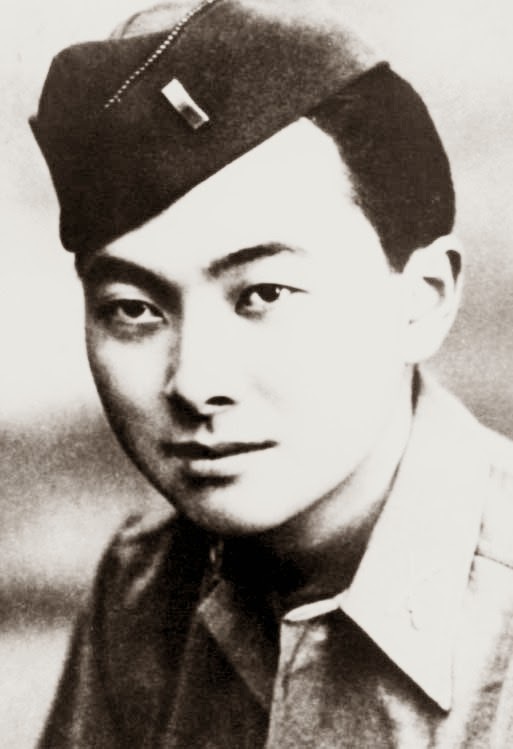 Sen. Inouye’s military decorations included the Distinguished Service Cross, the Bronze Star Medal and the Purple Heart. In 2000, Sen. Inouye was one of 22 Asian American veterans awarded the Medal of Honor after a review of their combat records. While hospitalized for his war wounds at an Army hospital in Michigan, Sen. Inouye took to playing bridge with a fellow patient — a soldier from Kansas, Bob Dole, who also had been gravely wounded in Italy. When they talked about their futures, Dole said he planned to go to law school, run for the state legislature and eventually win a seat in Congress. Sen. Inouye graduated from the University of Hawaii in 1950 and George Washington University’s law school in 1952. He entered the territorial legislature in 1955 and was elected to Congress in 1959 — one year before Dole began his own long Capitol Hill career as a representative and senator. As chairman of the Indian Affairs Committee, Sen. Inouye was instrumental in passing legislation in 1989 that established the Smithsonian’s National Museum of the American Indian on the Mall. Four years later, he successfully pushed for a formal apology from the federal government for assisting in the ouster of the Hawaiian monarchy in the late 1800s. His first wife, Margaret Awamura Inouye, died in 2006 after 56 years of marriage. In 2008, he married Irene Hirano, president and chief executive of the Japanese American National Museum in Los Angeles. Besides his wife, survivors include a son from his first marriage, Daniel K. Inouye Jr.; a stepdaughter, Jennifer Hirano; and a granddaughter. Widely regarded as a strong and uniting figure, Sen. Inouye was chosen by his fellow Democrats to give the keynote address at the party’s 1968 national convention in Chicago. It was a period of unrest after the assassinations of Sen. Robert F. Kennedy (D-N.Y.) and the Rev. Martin Luther King Jr. Speaking not as a Democrat as much as a citizen disturbed by the violence, Sen. Inouye described a troubling “loss of faith” among Americans. He called for Americans to rebuild their trust in government — an extraordinary statement from a man whose people had suffered grave injustices at the hands of the government. Sen. Inouye’s address was immediately overshadowed by the convention’s political infighting and by a violent police crackdown on thousands of opponents of the Vietnam War who demonstrated in Chicago’s streets.